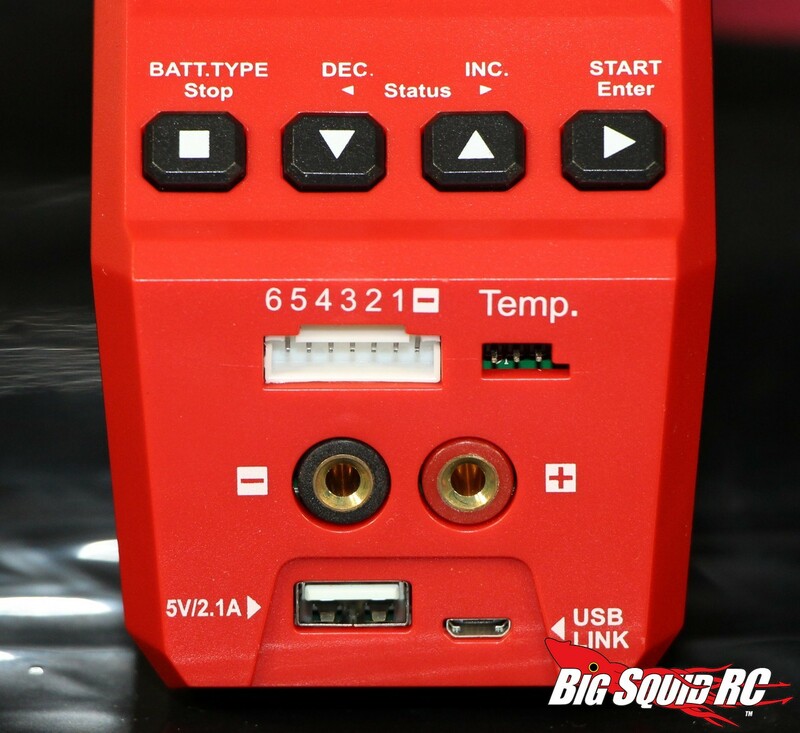 Hitec RDX1 Battery Charger Review « Big Squid RC – RC Car and Truck News, Reviews, Videos, and More! 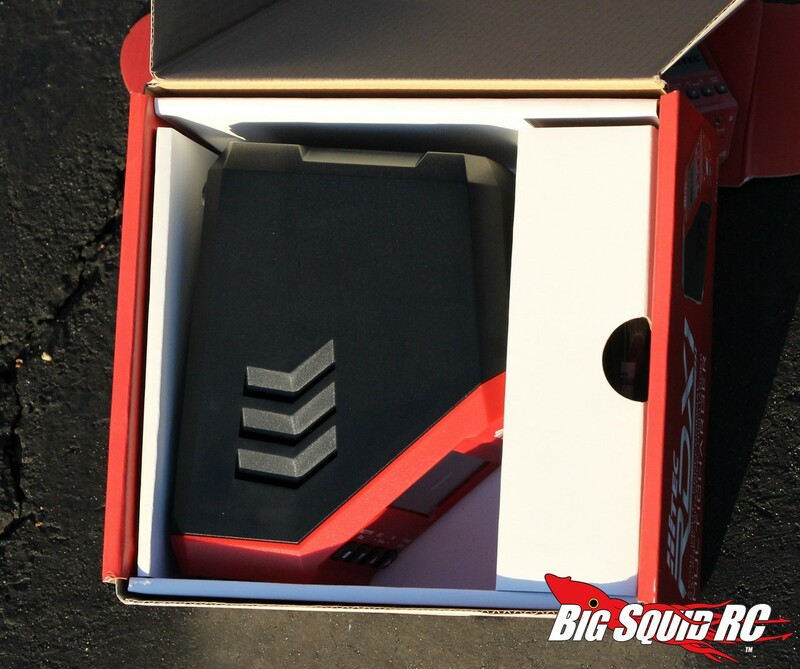 What’s In The Box: Inside the box you’ll find the charger, the AC cord, the DC cord, the instruction manual, the XH balance board with wiring, and a charge wire with XT60 connector. 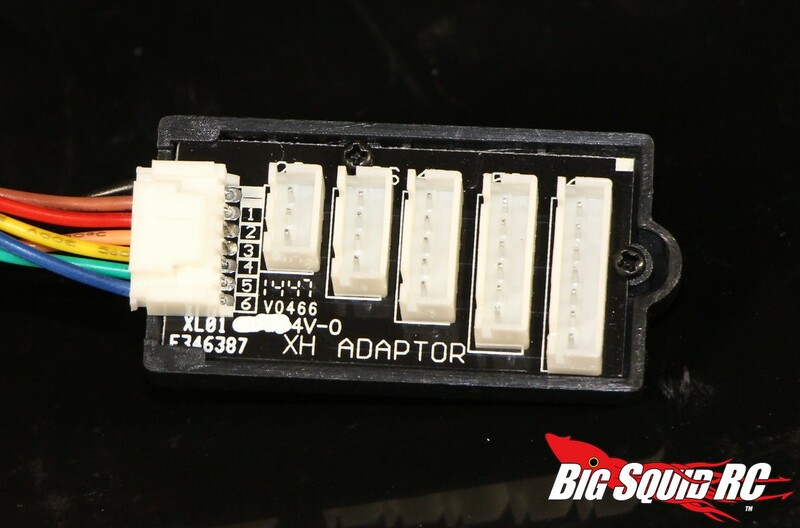 Build Quality: Our bash crew could find no faults with the build quality on the RDX1. 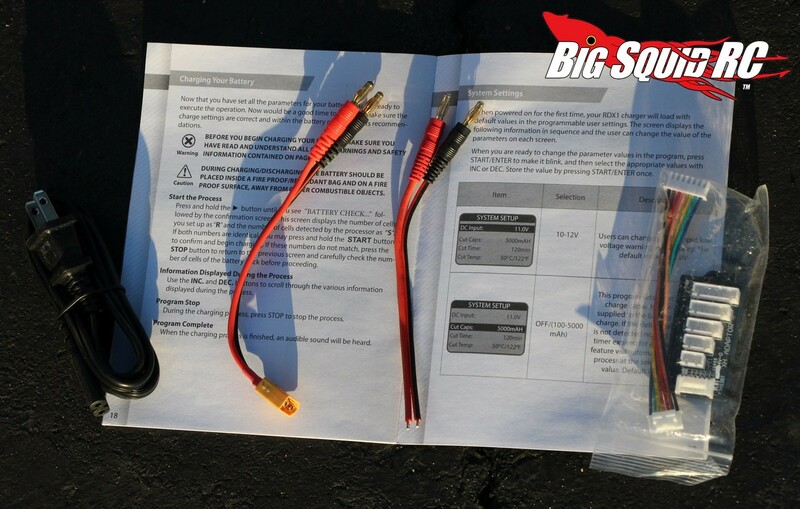 The charger was well assembled and the wiring/soldering looked superb. Testers: Iron Mikeee, Hawaiian Chris, T-Money, and yours truly. Set-up Notes: We ran the RDX1 off of both AC and DC power. 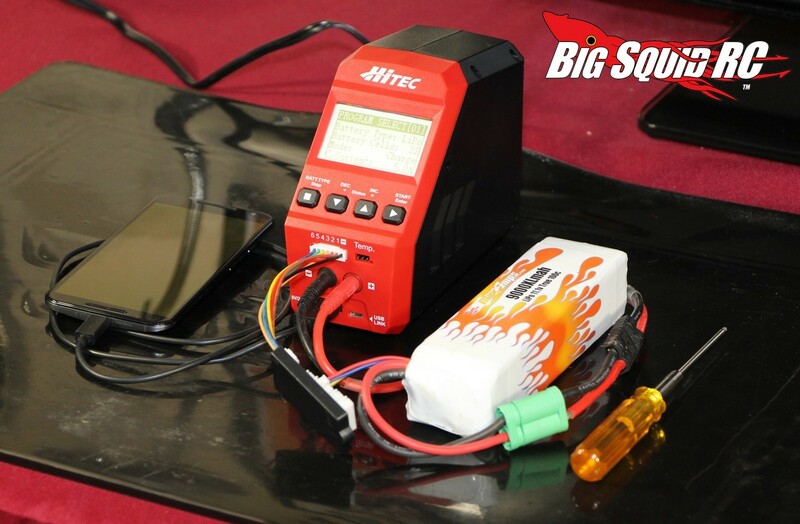 For battery packs, we charged a wide range of different sizes and of different cell chemistry. 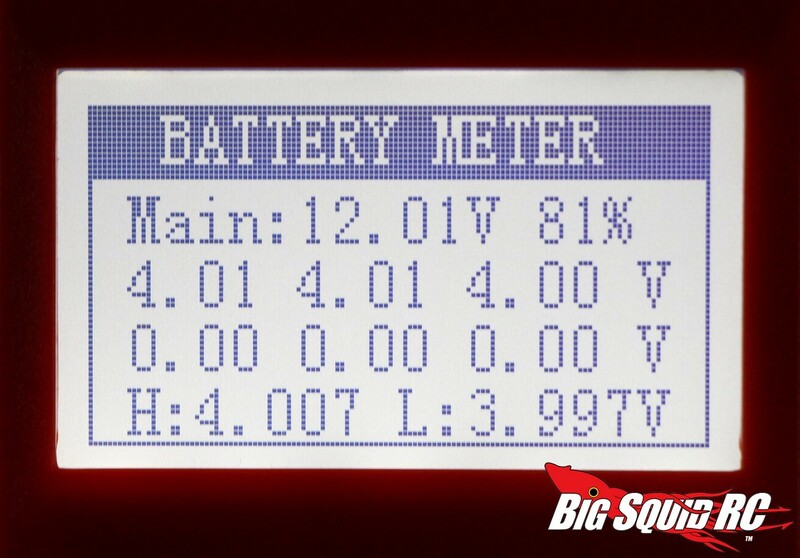 Packs ranged from as small as a 1800mAh NiMh up to a 4 cell 6700 LiPo. 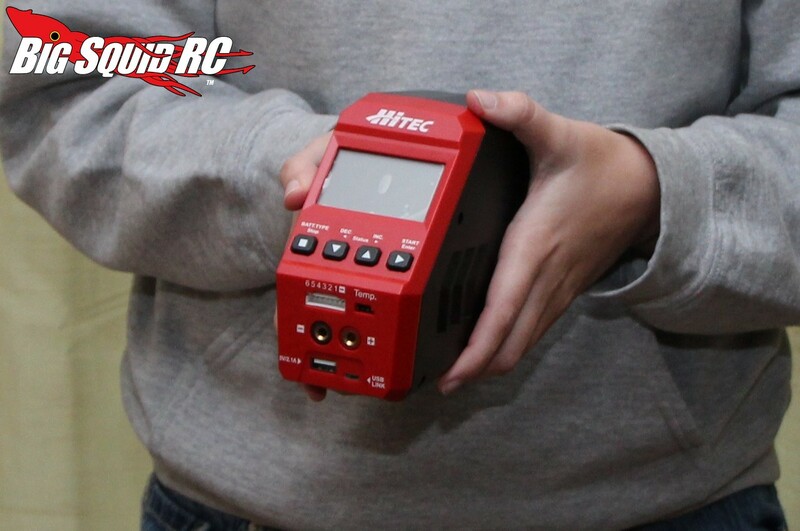 Ease of Use: None of the members of our bash crew had an issue using the Hitec. None of them had to resort to breaking open the owners manual to charge any pack they wanted to. The Hitec uses a well organized menu system that we believe noobies could figure out in just a few minutes. For our experienced testers, they were able to easily glide around the menu and got the charger to do whatever they needed. If you are a first day noob the manual is well written and easy to understand. Power: How much power does the RDX1 have? 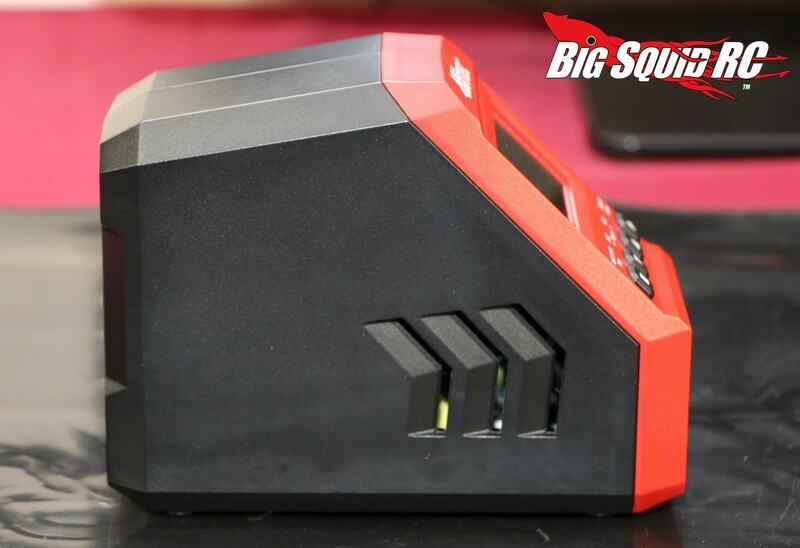 Well, it can charge at up to 60 watts and has a maximum charge rate of 6 amps. 6 amps is what most of our chargers at set at around the office, the reason being, most of our packs are 6000 mAh and below. For general use, the Hitec is a bit low on power for 4-6S packs, but if you mainly use 2 or 3S, it should have enough power for your typical needs. On the Track: We felt that packs charged on the RDX1 had plenty of rip when used on the track. 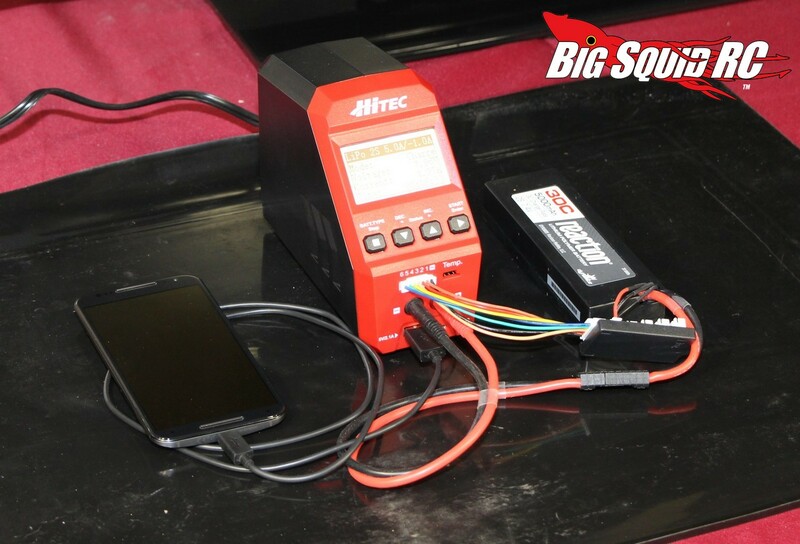 We tested packs charged back to back on a much more expensive charger and the quality of charge from the RDX1 felt good to us. Packs charged on the Hitec felt like they had good punch off the line and plenty of rip up top, even in higher drain applications like 8th scale monster trucks. 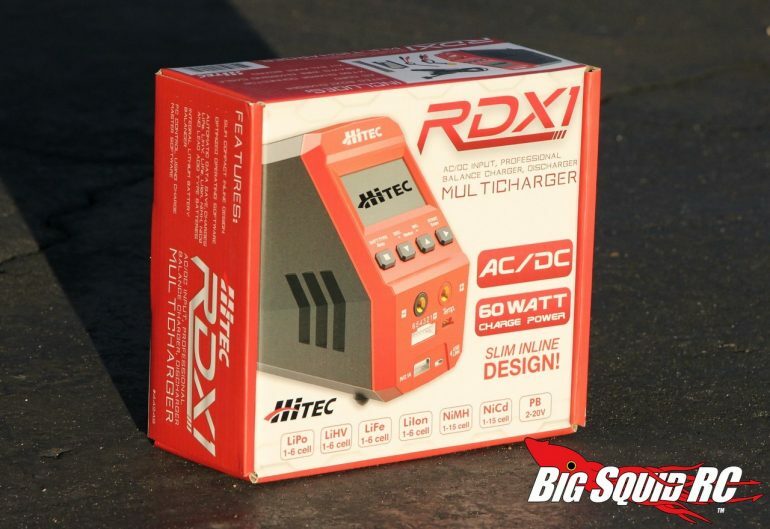 The “big” story about the Hitec RDX1 is its small size. 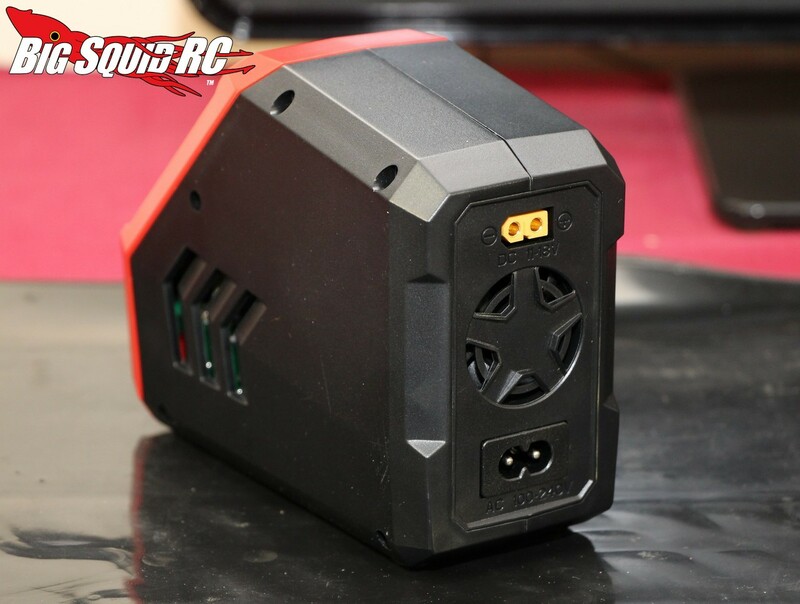 It has a tremendously small footprint for a 60 watt charger, making it easy to fit on even the most cluttered of pit tables. It also barely takes up any space at all inside of a pit bag. That comes in handy if you are trying to “pack light”, or if you are a crawler kind of guy, you can pack it around with you all day, with it barely weighing you down. We are big fans of the RDX1’s tower style of design. Its screen is well angled and very easy to read, and just like mentioned earlier, it takes up virtually no space. We were not big fans of the buttons on the front of the charger. They look good, they work fine, but they had an imprecise/mushy feel to them. The USB port is on the front of the charger, exactly where we like it. Some chargers have a USB in the back, but that is a much less convenient location than a front panel. We thought we might have problems with the tall’ish design of the RDX1 tipping over, but that wasn’t the case. It has enough weight down low, along with all the wires coming out fairly low on the unit, that we never had it tip over while working around it. Our test unit endured several weeks of getting punched around by our test crew with no ill effects. It seems the RDX1 can take a typical basher-type beating and keep on ticking. Final Verdict: We are HUGE fans of the Hitec RDX1. It isn’t for everyone, namely those looking for huge power or a dual charger, but if you are looking for a high quality charge that takes up next to no room at a very affordable price point, the RDX1 is massively on point.